The state Senate is expected to vote on the red flag bill gun control bill this week, then it will only require Gov. Polis’s signature to be the law of this land that dozens of counties now say they won’t follow. Just hours before the session began, Polis finally opened his eyes and saw the tidal wave of discontent surging his way, and all manners of recall efforts over the red flag and other contentious bills. The governor acknowledged the autonomy of county sheriff’s who’ve balked at enforcing the law. 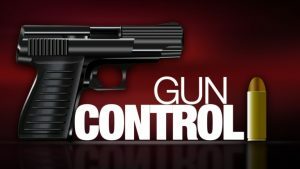 Those sheriffs say they already have a safe method, that ensures due process, for removing firearms from the custody of those who pose a danger to themselves or others. Speaking of attorneys general, Polis’s statement puts him directly at odds with his own Democrat state Attorney General Phil Weiser, who told sheriffs they should resign if they don’t enforce the red flag law. So far, 30 counties passed resolutions declaring themselves 2nd Amendment Sanctuaries. If Chaffee County soon joins the ranks, that brings the tally to 31 out of 64 counties. We fully expect the unconstitutionality of Colorado’s law to be tested and found as such in the federal court system. Meanwhile, how ‘bout those recalls?